Tom Kempinkski's two-hander Duet for One, currently being performed at Birmingham Repertory Theatre, takes us into the counselling room and into a battle of wills between a client and a psychiatrist. Gifted violinist Stephanie is no longer able to play music after developing multiple sclerosis and visits Dr Feldmann 'on the advice of her husband'. She is reluctant to open up to the psychiatrist but even in her attempts to evade honesty Stephanie reveals more than she intends. From her initial statements that she's coping and planning new ways to spend her time to her final admission of the devastating effect of her inability to play, she goads, fights and taunts the man who is trying to help her. 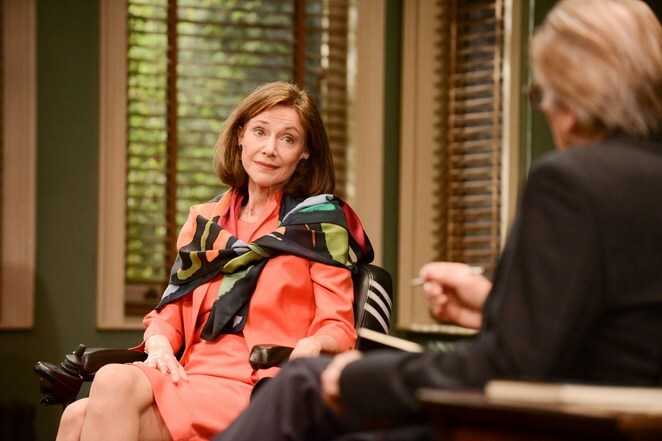 Belinda Lang is impressive as Stephanie – not least because Lang was only announced in the role four weeks ago replacing Jemma Redgrave who withdrew from the production due to ill health. Stephanie is a complex character who hides her vulnerability by going on the attack. In many ways this makes her difficult to like and yet Lang holds our sympathy because the chinks in her armour tell us how much she is actually suffering. While there is no doubting the pathos of Stephanie's situation, Kempinski also peppers her discussions with dry humour. Oliver Cotton is Feldmann, whose approach to his client is certainly unorthodox and yet comes from a desire to help her heal herself. As the story progresses, Feldmann's own character develops so that he becomes more than a listener until he brings his own feelings into the counselling space. Directed by Robin Lefevre and designed by Lez Brotherston, the production all takes place within Feldmann's office over a series of appointments. 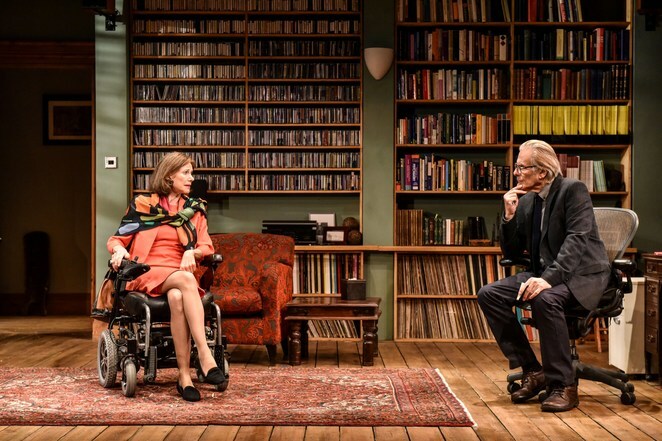 Produced by The Rep in association with Lee Dean and Daniel Schumann, Duet for One is at Birmingham Rep until October 7 before starting a national tour.